This year’s CROP Walk will be on Sunday, October 7th at 2pm; registration begins at 1:30pm. You can participate by gathering sponsors and walking one of the designed routes for either five miles, three miles or one mile. Or, if unable to walk, you can “rock” your support in a rocking chair for a designated time. All ages are welcome to participate. For more information, contact Janice Mann at 248-738-6702. 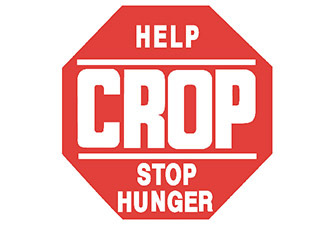 This year the Waterford Area CROP Walk will provide funds to the following local organizations: Open Door Outreach Center of Waterford, Waterford Meals on Wheels, Baldwin Center, Pontiac and Good Samaritan Food Pantry, Pontiac.